A Full Service Landscape Company For All Your Requirements! Garden Solutions Landscaping (GSL) is a family owned and operated, local, and full service Landscape Contractor. GSL specializes in all aspects including consultation, design, installation, and maintenance. Our extensive skill sets include landscape, masonry, concrete, irrigation, synthetic turf, iron work, bocce ball courts, wood decks, fences and arbors, low voltage lighting, rainwater harvesting, demolition and maintenance. 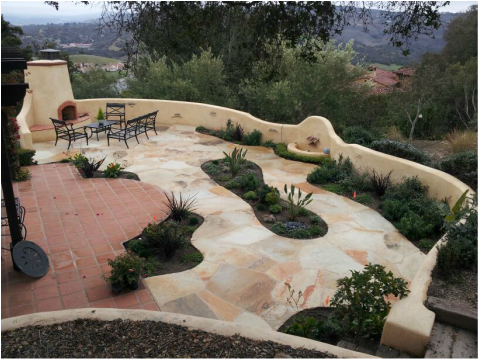 We have 20 years of experience installing landscapes in the greater Monterey Bay area. The following pages show our expert craftsmanship across a broad scope of services at the residential and commercial level. No job is too big or too small! For more information or a free quote, please contact me at the number below or use the "Contact" page and I will be in touch shortly. Synthetic lawn installation in Pasadera! 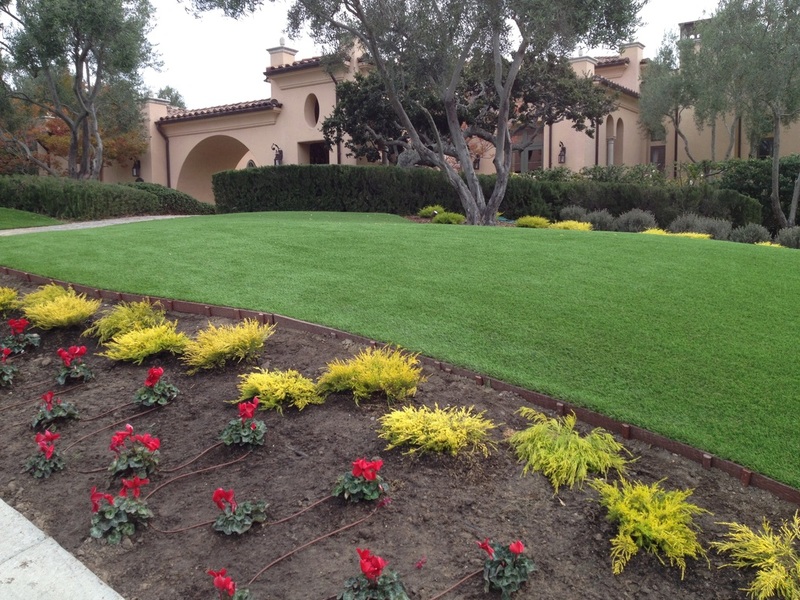 We just completed installing 2,000 square feet of synthetic lawn at this lovely Pasadera home. This will save the homeowner over $1,000 per month and 40,000 gallons of water usage annually. GSL installs beautiful landscape with synthetic turf in Toro Park! GSL just finished a re-landscape in Toro Park. Following are pictures from the start and the results speak for themselves. 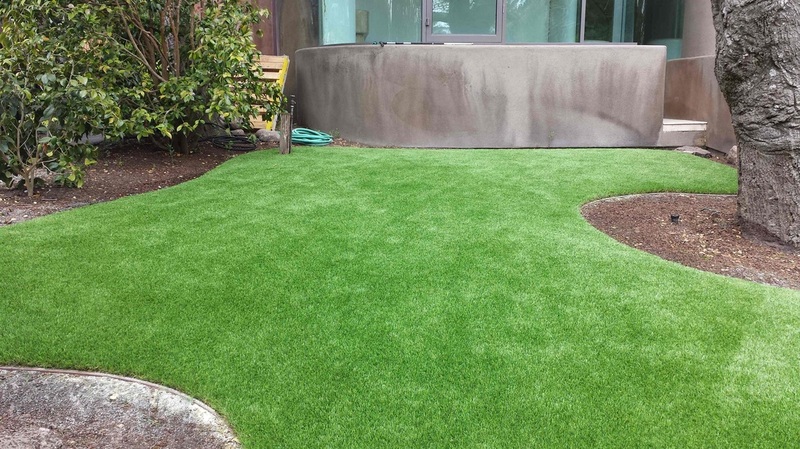 This property owner significantly reduced their water usage by removing the lawn and replacing it with synthetic turf. Not only that, there is no maintenance and it looks beautiful too! You can reduce your water usage and cost immediately with the installation of synthetic turf in place of your current lawn. GSL also installs rainwater harvesting systems to irrigate plants and gardens. Go to our "Rainwater" page to see more! 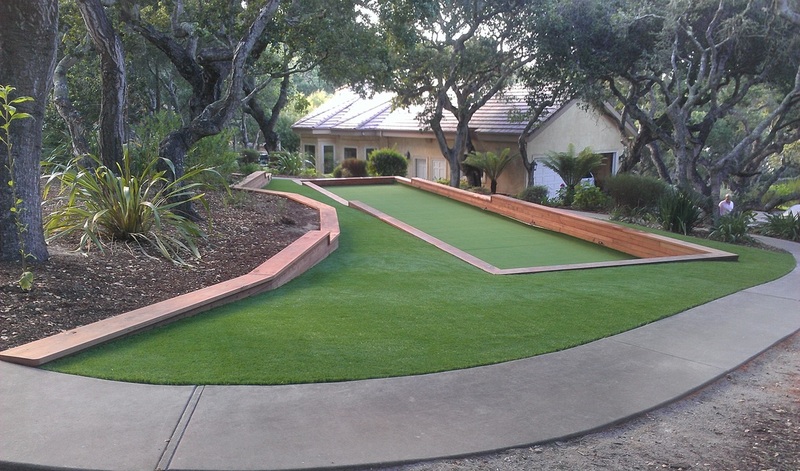 Garden Solutions Landscaping installs 4,700 square foot chipping and putting area at Pebble Beach residence! See the before and after pictures of a recent installation in Pebble Beach! GSL has the expertise to transform your property into a beautiful, water efficient landscape. The following slideshow highlights a 4,700 square foot area that was being irrigated. Now a beautiful chipping and putting area has replaced the original grass and saves approximately 100,000 gallons of water per year. Call us today at (831) 224-4006 to find out how we can help you! Wow, can you believe how good this lawn looks? Ready to reduce your water bill significantly? Install artificial turf! No water or maintenance required! Call Garden Solutions Landscaping for a quote today and be prepared when the Cease and Desist order goes into effect, or higher priced Desal water is made available! Either way you won't need it!